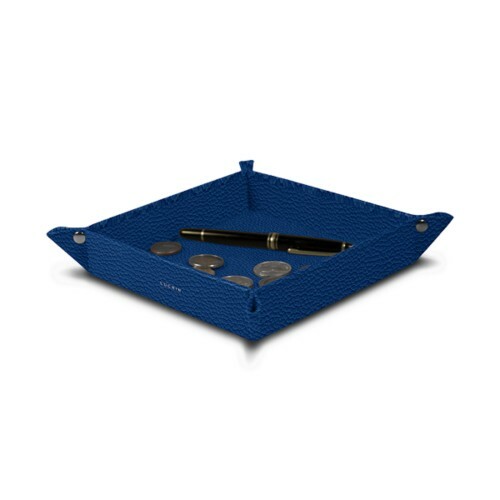 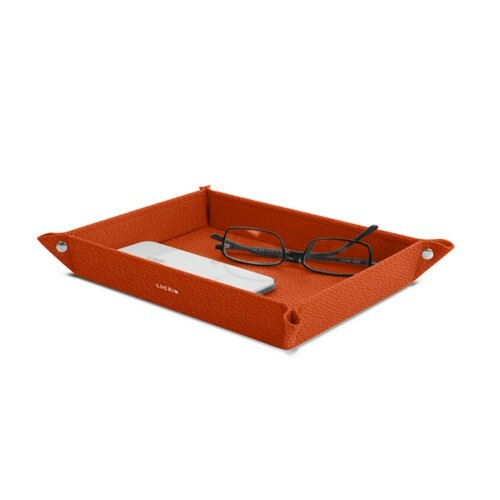 The elegant and practical tidy trays proposed by Lucrin are made of authentic high quality leather. 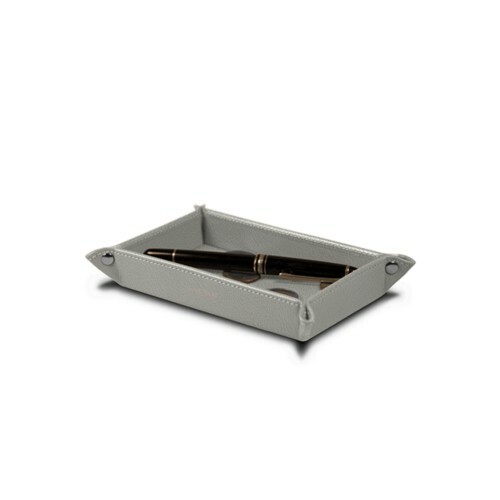 Various shapes and sizes are available: Rectangular, Square, Round, and more. 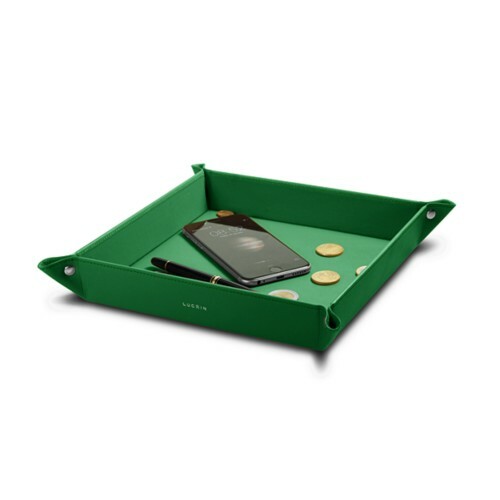 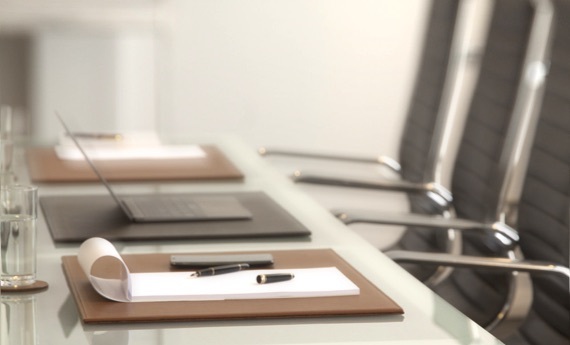 A leather tidy tray can prove to be very useful, for instance, near the main door in the house; you can safely keep your keys or your phone when you reach home. 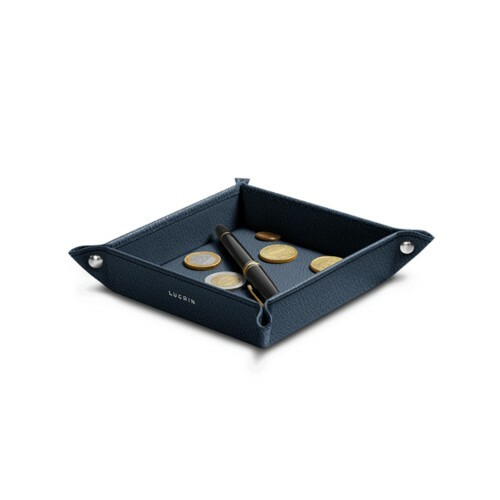 All the Lucrin valet trays are 100% leather-made, be it the exterior or the interior side. 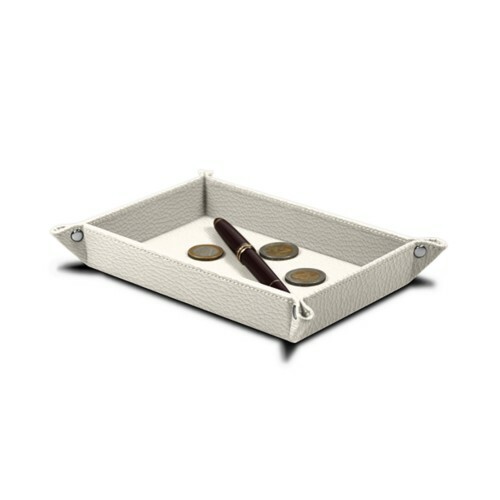 Discover the set of 3 tidy trays which can be original gifts thanks to the various customization options available.